Our Ocean Wealth Summit returns to Galway as part of SeaFest maritime festival with global leaders in the blue economy convening to discuss how we can harness our ocean economy by fortifying the seafood industry, encouraging healthy ecosystems and fostering increased engagement with the sea. With an annual turnover in excess of €5.7 billion, Ireland’s marine economy has been on a steady growth trajectory over the past decade. Optimising, commercialising, managing and protecting this blue economy, worth over €2 billion directly to the economy each year, is the focus of the Our Ocean Wealth Summit sponsored by PwC which takes place on 28th and 29th June in Galway. This year’s Summit has attracted high level marine sector speakers from across the globe including Blue Planet producer Orla Doherty, US Astronaut and Oceanographer Kathryn Sullivan and Jose Santos, Chairman of the Oceano Azul Foundation (Portugal). Minister for Agriculture, Food and Marine Michael Creed T.D., Climate Justice Foundation CEO Mary Robinson, Yvonne Thompson, Partner at PwC, Julie Sinnamon of Enterprise Ireland and BIM CEO Jim O’Toole are among the Irish leaders that will address the Summit on investing in our blue economy and managing the challenges it faces. 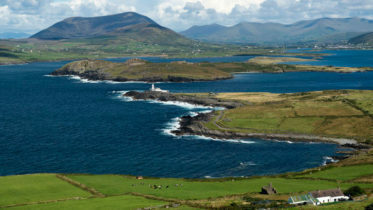 “Being an island nation, Ireland has a real opportunity to lead in terms of innovation, competitive advantage in the seafood sector, shipping services, marine industry, renewable energy and connected marine devices and solutions. This event, as a key output of the Harnessing Our Ocean Wealth strategy, brings the vital and various elements of Ireland’s marine sector, the experts and experience, together to convene, network and share knowledge required to drive forward our blue economy,” said Minister for Agriculture, Food & Marine Michael Creed, T.D. Our Ocean Wealth Summit has a packed agenda that includes an in-depth discussion on Ireland’s seafood sector and the impact of Brexit, smart shipping, sea and airfreight and logistics for the fishing sector, an interactive session on marine renewables, as well as insights and thought leadership on climate change. Marine research and development, maritime commerce, financial planning for the marine and aviation leasing will also be topics discussed at the Summit this year. Our Ocean Wealth Summit will also include a Marine Ireland Trade Show, where over 60 companies and organisation in the sector will showcase their innovative marine products and services. Visit Our Ocean Wealth for more details.